I don't usually give in to impulse buys at the supermarket checkout, mainly because there's nothing but chocolate on sale. But my local Tesco has started placing ‘healthier’ type snacks, such as nuts and seeds to tempt us instead. What caught my eye this time were these snacks from the Food Doctor called Crisp Thins. 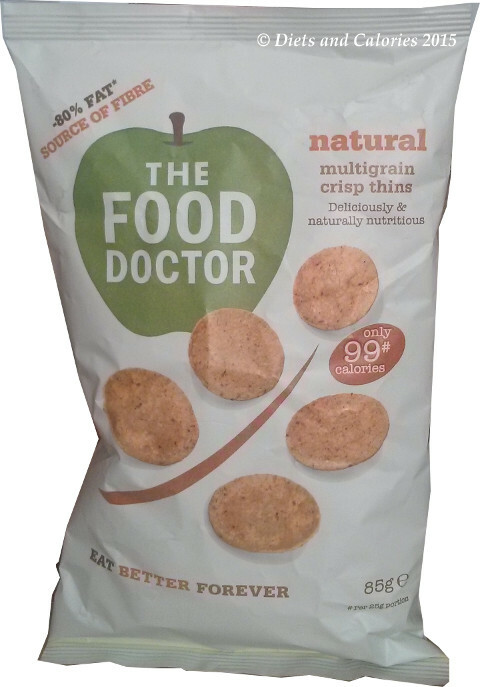 All varieties have between 97- 99 calories per bag. 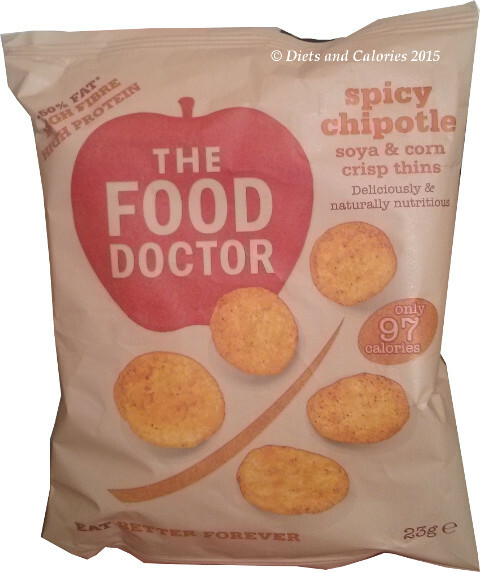 I picked up one of the small bags, a 23g Sweet Chipotle flavour with 97 calories. These are called soya and corn crisp thins .I also bought a larger 85g bag which are called multigrain crisp thins ‘natural flavour’. The front of this bag says ‘only 99* calories’. Pay attention to that 99* calories on the front of the larger bags. That * is alerting you to the fact that it's actually 99 calories per 25g portion, not the whole pack. This means that each pack holds 3.4 portions! No one’s going to bother with all that, so why not just say how many calories in the bag? In this case, it’s 335 calories. A much scarier number and quite likely to put off a purchase from the calorie conscious amongst us! It's easy to see why that 99 calories is promoted so prominently on the front! ‘Healthy… Our crisp thins are pressed from soya and corn, not potato, to deliver a deliciously crunchy, nutritious snack to enjoy anytime. We don’t bake or fry them, so they are never greasy and you get to enjoy their full goodness. Wholesome… Soya is naturally high in protein and fibre so our thins provide what you need without any of the guilt of regular snacks. I like the texture of these thins. 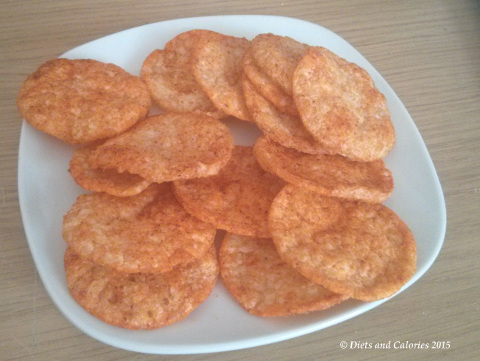 There’s more chewiness to them than regular potato crisps and they are exceptionally crunchy. The Sweet Chipotle flavour was nice and spicy, not too hot on the chilli and there were about the same amount in the bag as a regular bag of crisps. 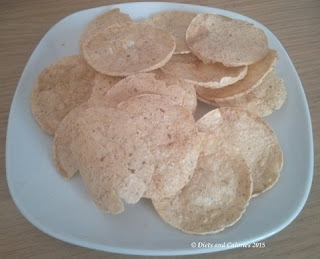 The Natural multigrain crisp thins are much more subtle in flavour. Without any added spices, you can really taste the actual grains, which I enjoyed. Because of their plainer taste, they’d go well with dips. Hot Wasabi flavour (98 calories per 23g bag). 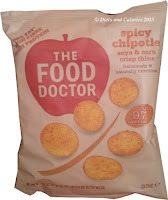 Nutrition Information per 23g pack Spicy Chipotle: 97 calories, 5.7g protein, 3.1g fat, 0.2g saturates, 10.7g carbohydrate, 1.5g sugars, 1.8g fibre, 0.28g sodium. Ingredients Spicy Chipotle: Soy (soy flour, tapioca starch, salt), Corn (corn flour, wheat flour, corn starch, sugar, baking soda), sunflower oil, Chipotle – paprika seasoning (spice (paprika, chipotle, chilli, Jalapeno pepper), onion powder, dextrose (maize), salt, sugar, natural flavouring, yeast extract, garlic powder, colour: paprika extract), antioxidant: extract of rosemary. Allergy advice: contains soy and gluten.